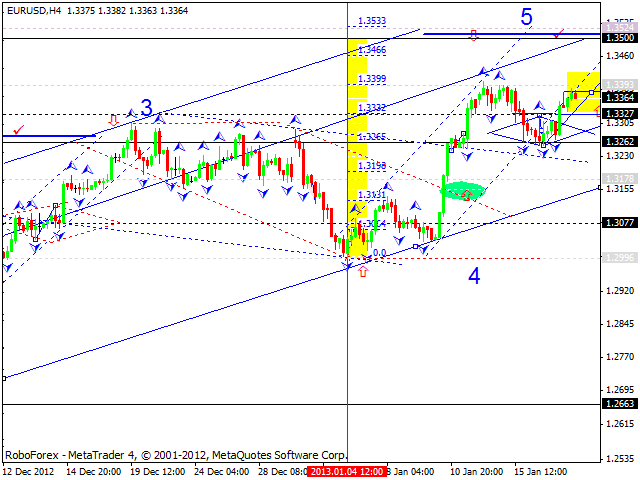 The USD/CHF currency pair is still consolidating near the maximums. I think the price may grow up a little bit towards the level of 0.9280 and then move downwards to reach the target at 0.9280. 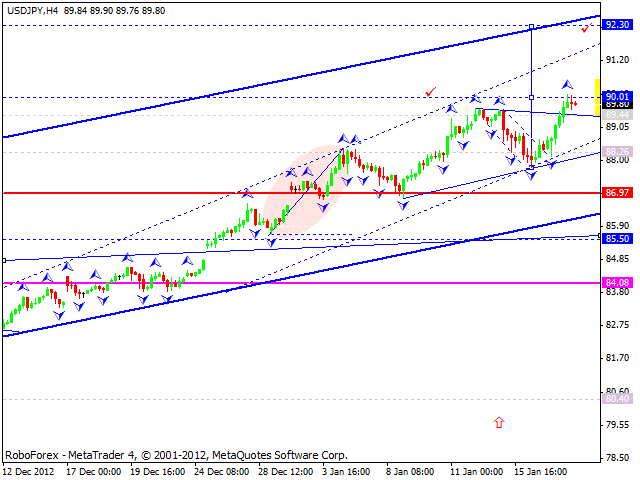 The USD/JPY currency pair formed another ascending structure and reached the target at 90. Today, in my opinion, the price may consolidate for a while near the level of 90 and then start forming another continuation pattern in order to continue moving upwards. 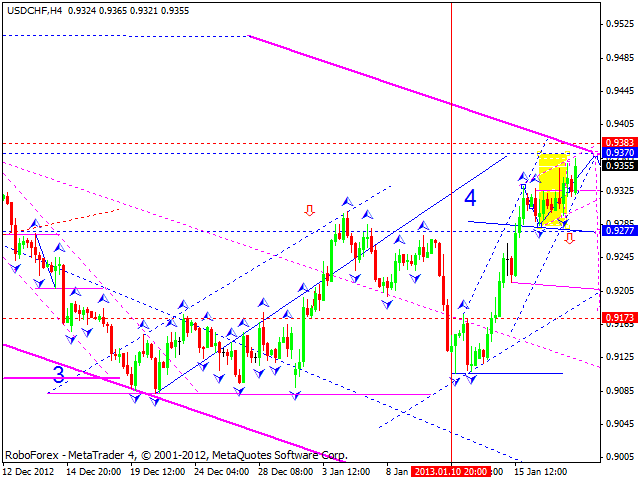 The next target is at 92.50. 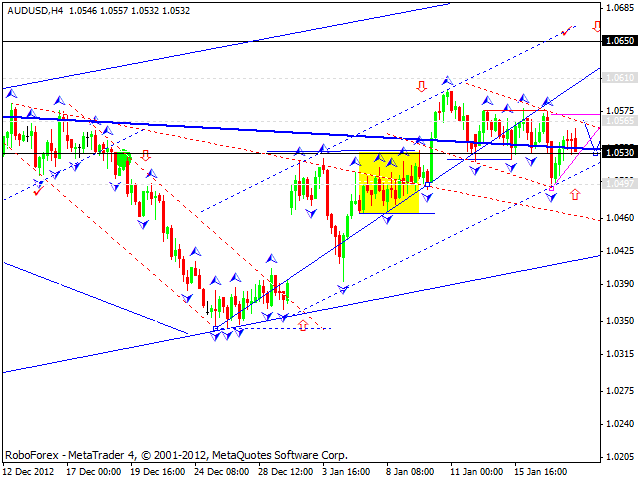 Australian Dollar started forming a new ascending structure. I think today the pair may complete a correction of this first impulse. Later, in my opinion, after breaking a consolidation channel, the price may form another ascending structure with the target at 1.0650. 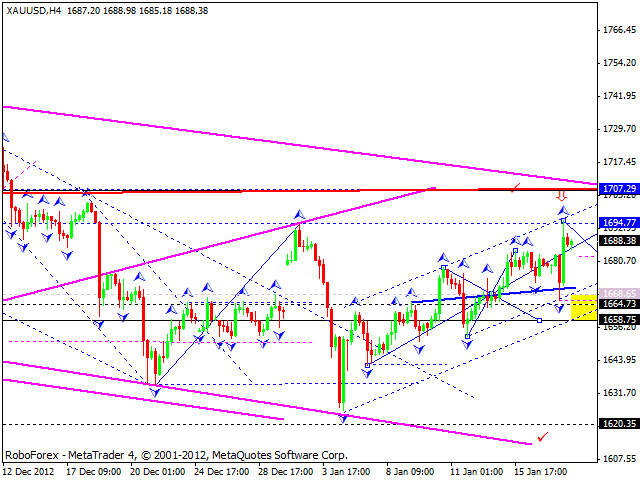 Gold reached a local target and today may start a correction. I think the instrument may fall down reach the level of 1670, at least. 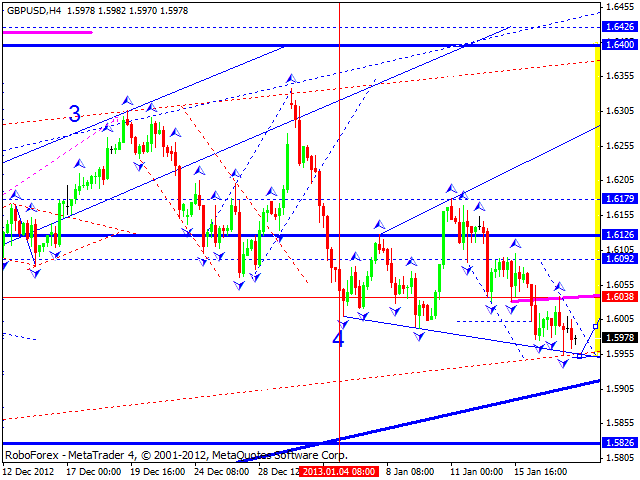 After that the price may start forming a new ascending structure towards the target at 1707.